In 2017, we wrote about the Cleveland Huntington Beach putter lineup, a premium putter without the premium price. In the line are models to fit nearly any putting stroke and eye. Coming off the success of the initial introduction, Cleveland expands the Huntington Beach putter lineup with 3 new models for 2018. In this review, we’ll refresh your memory on the performance features and fill you in on what you need to know about the latest models. 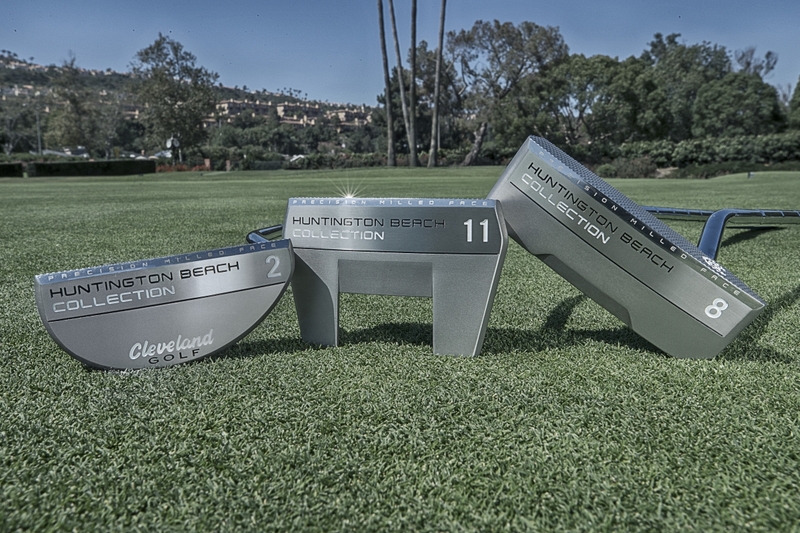 The newest Huntington Beach putter models are the #2, #8, and #11. Along with the rest of the putters in the line, these head shapes are inspired by designs proven to be effective for both tour players and amateurs. The head is made of a soft 304 Stainless steel and 51% softer than the 17-4 stainless steel previously used. Using 304 stainless steel gives the putters exceptional feel and feedback at impact. The softer steel also makes it easier to customize the lie angle to dial in the putter for your stroke. 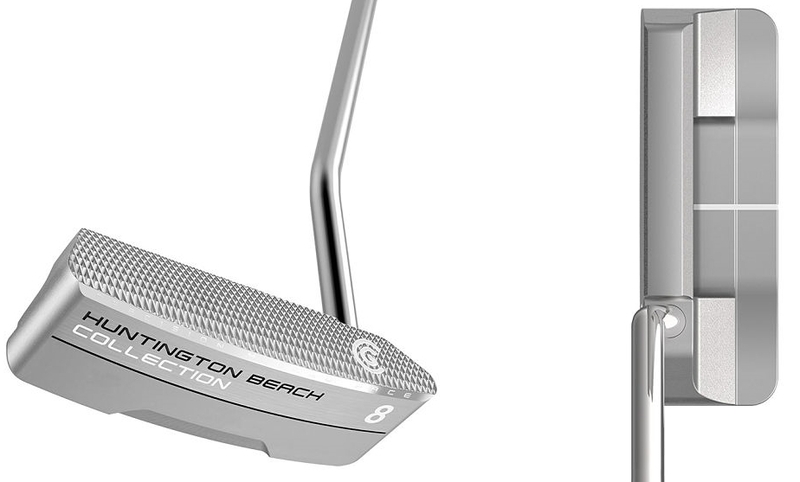 The face of all Huntington Beach putters is precision milled with a deep diamond pattern. Milling the pattern deeper increases friction at impact, helping putts get and stay online faster. The pattern also produces a nice soft feel. The Huntington Beach #2 is bigger than a blade but not quite the size of a mid-mallet putter. It almost looks like a beefed-up version of the classic 8802 putter. There’s a single alignment dot on the top line, giving the club a simple, clean look at address. It hangs pretty toe-down as well, fitting an arcing putting stroke. This model is only available in right-handed and offers a stock midsize or oversize grip option. At address, the Huntington Beach #8 looks similar to the traditional Anser-style but with a wider body. The wide-body construction creates more stability by adding weight to the outside of the puter, increasing the MOI. The head design also imparts a truer, more consistent roll. A single line on the back flange of the putter helps to line up putts. There’s also minor toe hang on the #8, perfect for those with a slight arc in their putting stroke. The #8 is also only available in right-handed with the same midsize and oversize grip options. The Huntington Beach #11 is a more modern, radically designed mallet with two stability wings coming off the back. The wings add forgiveness and stability as well as frame the ball better at address. The alignment line on the back flange pairs nicely with the wings to further assist in lining up your putt. The head design of the #11 is face-balanced, ideal for a straight-back-straight-through putting stroke. 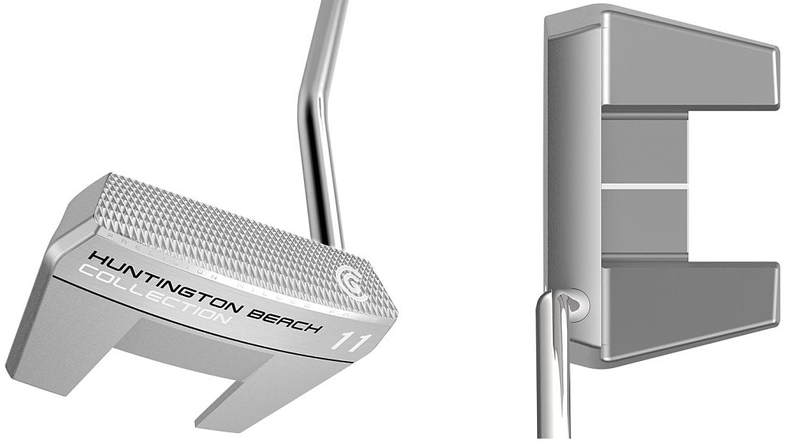 Keeping consistent, Cleveland offers the Huntington Beach #11 in right-hand with a midsize or oversize grip. 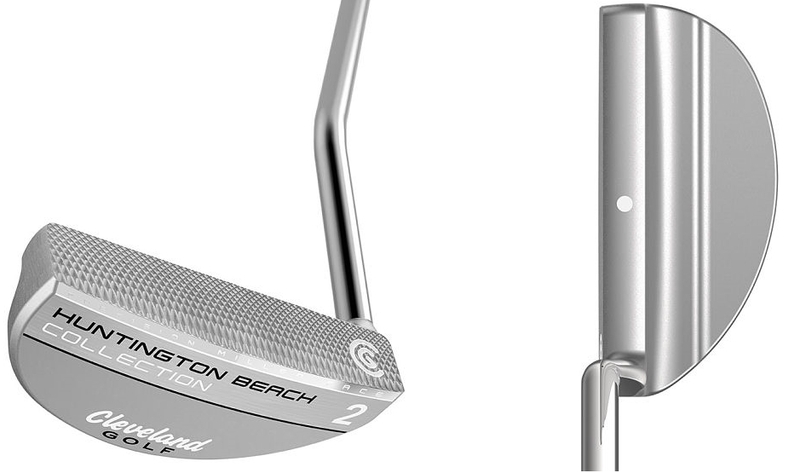 Cleveland’s Huntington Beach putter lineup offers you good looks, incredible feel, and premium performance. Add to that the reasonable price point and you have a putter that appeals to all golfers. 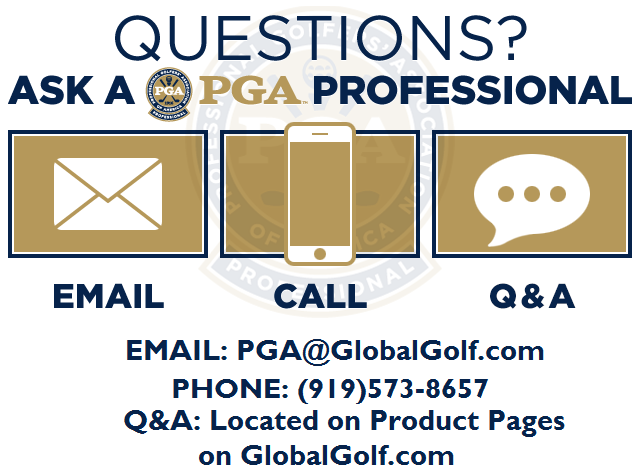 If you need some help choosing the right model for you, give one of our PGA professionals a shout by clicking this link.